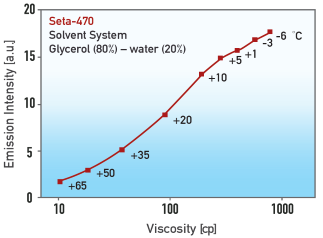 SETA BioMedicals proprietary fluorescent viscosity probes for biomedical imaging and sensing applications combine good solubility in water and aqueous buffers, high photostability, a large Stokes' shift and absorption and emission wavelengths in the visible range. 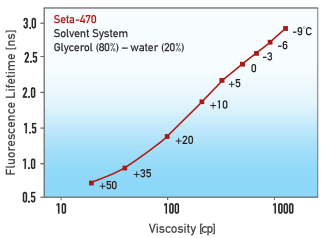 Seta-470-NHS (K8-3002) has been used to distinguish the rheological states of hydrogels and carriers in biological tissues . concentration of calcium gluconate . 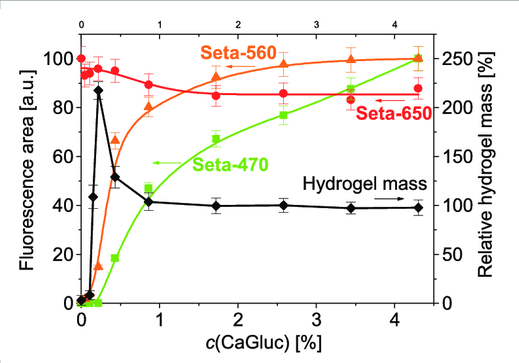 SETA BioMedicals fluorescent molecular rotors exhibit high sensitivity as well as a large dynamic range in both the lifetime and intensity modes. They are available in reactive (NHS-ester and maleimide) and non-reactive formats.